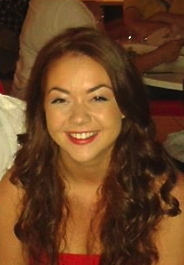 Ellie is an undergraduate student on City's BSc (Hons) Speech and Language Therapy course. The university was in the perfect location to live in; close to home and central with good transport links. The Speech and Language Therapy course had good statistics. Being able to apply the information we have learned on placements or at work and seeing how effective it is. Articulatory Phonetics, Audiology and Biomed: all really hard but so interesting and all had great lecturers, especially in Phonetics (Rachael-Ann is fantastic). Getting good grades that I worked hard for!